This lady has been with her owner from new since 1972. 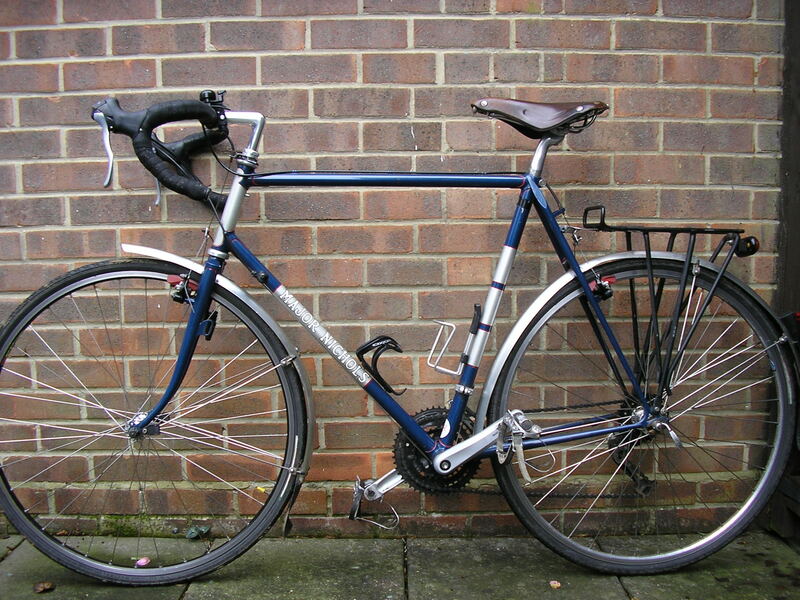 She is presently his bike of choice and has been nicely refinished by Bob Jackson which will ensure her ongoing working life. Andrew, the owner, has replaced equipment in a way that retains her appeal and at the same time has brought her into the 21st century and ensured a continuing life. 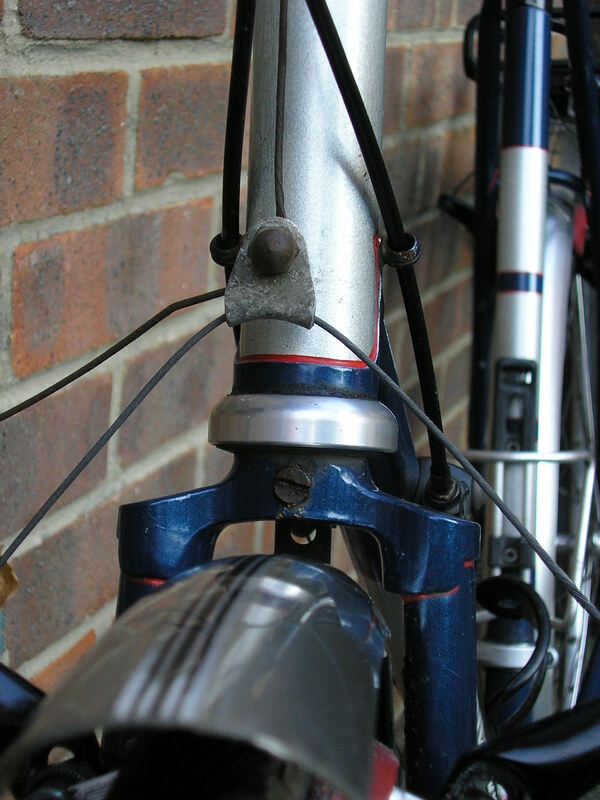 In Reynolds 531DB tubing, the frame was built in one of Major’s chosen lugs of the period which I have still to formally identify but it seems probable now that it is Prugnat Italia 1. 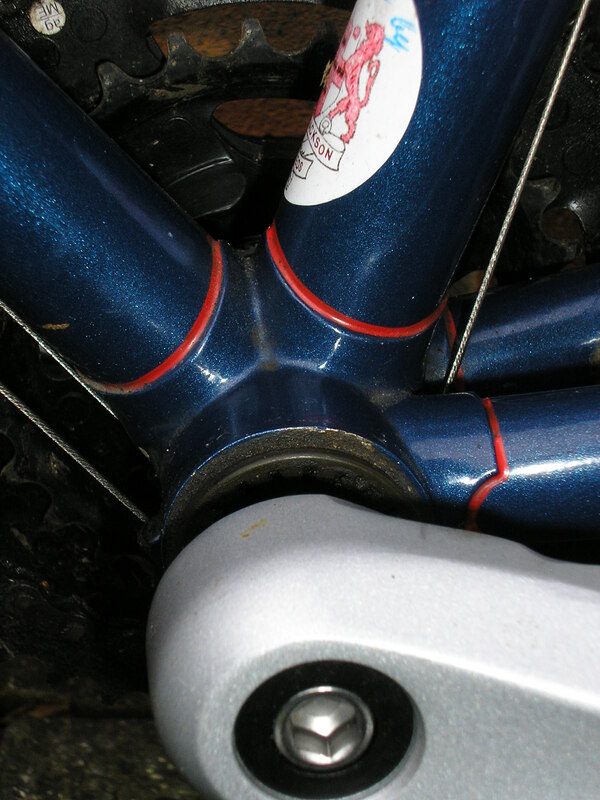 This is the first confirmed Italia we have found with these lugs but several other custom race frames use the pattern. 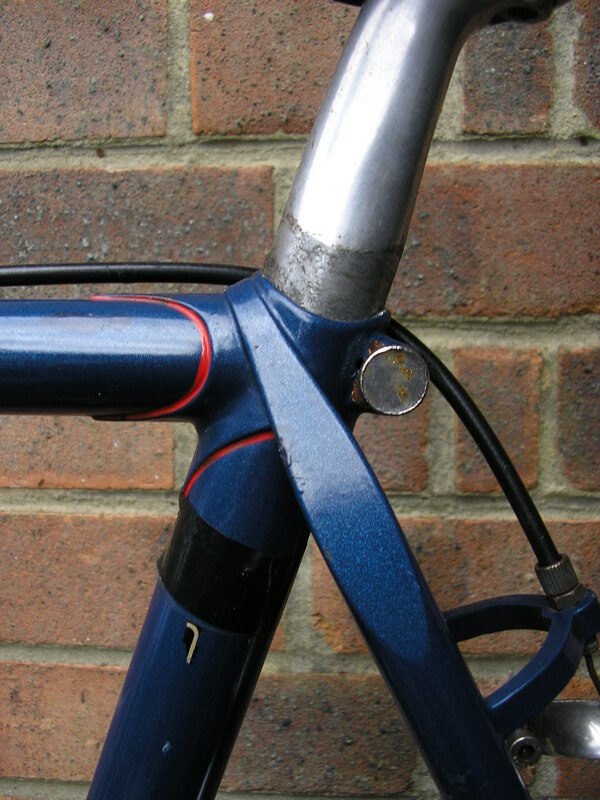 The frame has a full seatstay wrapover and a strong brake bridge made from a flat bar rather than round. I think the seatstay bridge is curved but I cannot see the chainstay bridge. The fork crown is known but is as yet an un-named Italian forged pattern. 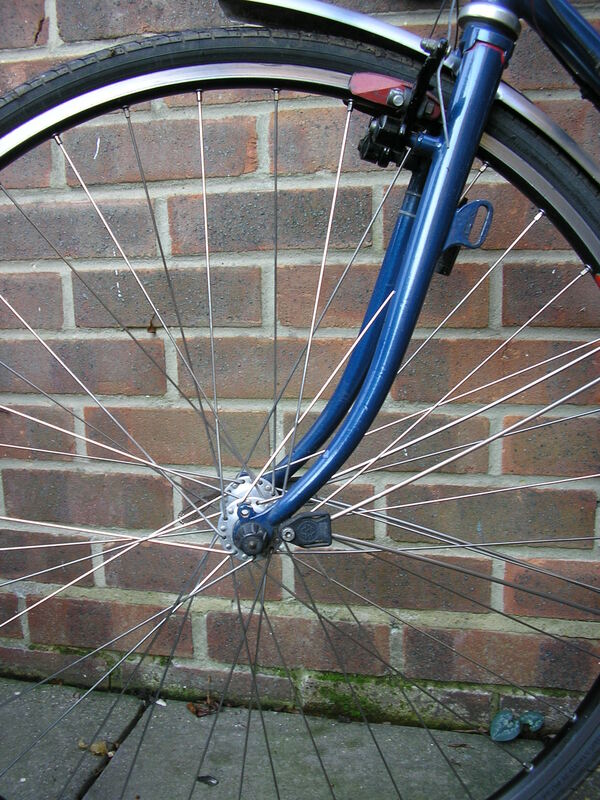 The brakes are cantilever. 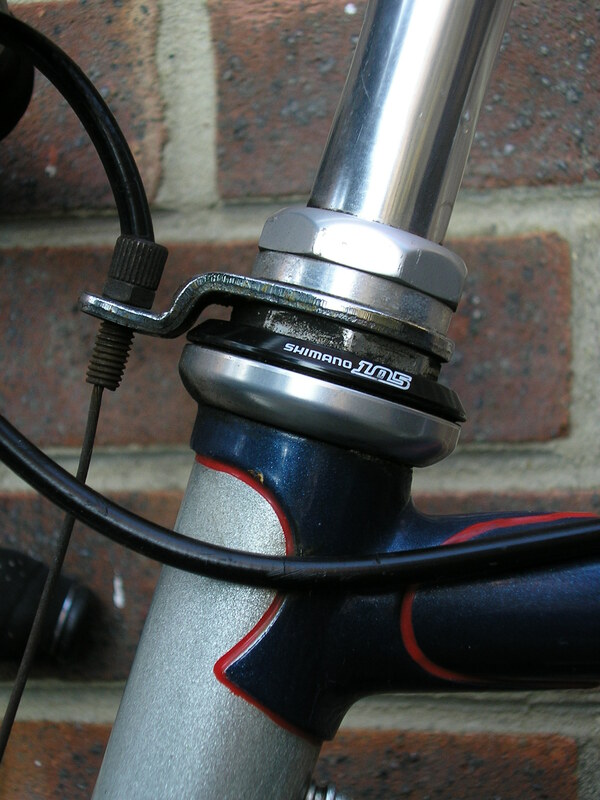 The braze-ons include mudguard and rear carrier eyes, a near side fork light bracket and derailleur cable guides including new additions on the head tube lower lug. It would be nice to have a photo of the offside for the record.